Personal identification information collected by Arizona Town Hall is done so exclusively with your consent with no information collected automatically. This information is used by Arizona Town Hall and AZ Department of Corrections staff for the purposes of performing a background-vetting process for the safety of all participants. We will not share your personal identification information with other individuals, or organizations, without your permission. What is the best way to create and maintain safe, productive communities? Let your voice be heard at the Lewis Facility Community Town Hall. Pre-registration required. Registration closes 9/13/18. Registration is $15; continental breakfast and box lunch included. Participants will have the option of being transported to the Lewis Facility on an Arizona Department of Corrections bus. Participants will be picked up outside the Arizona Department of Corrections office at 1601 W Jefferson in Phoenix. 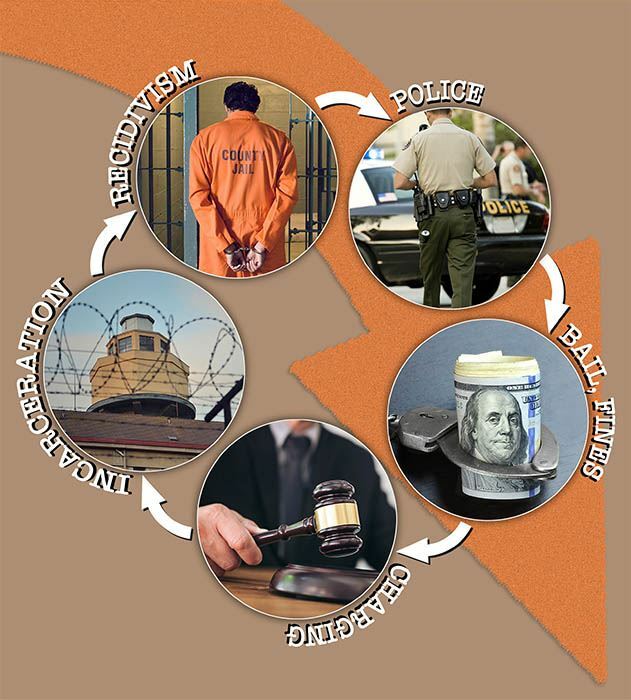 If you would like to become a participant or if you are interested in more information on Arizona’s criminal justice system, make sure to read the Background Report. To read the report online, click here. The extensive Background Report for the 111th Arizona Town Hall was prepared by the Morrison Institute, in partnership with Arizona universities and the Arizona Town Hall Research Committee. A two-page factual summary has been prepared from the information provided in the Background Report and will be provided to participants at the program. You can view the facts sheet online by clicking this link.